Where do the Academy Awards envelopes and cards come from? Where do the Oscars cards and envelopes come from? When it comes down to it, the Academy Awards are really all about the name on that card, the winners of the tiny golden statues. Sure, there’s the fashion and the red carpet and the gossip – but they’re all sideshows. It’s those who go home with an Oscar in their hand who are remembered by history. So, if the names on that card in that sealed envelope are so important, why don’t we pay more attention to the card and the envelope themselves? If we did, we would find a fascinating story that takes us all the way to the Bavarian Alps in southern Germany. I’m standing outside the Gmund Paper Factory, not far from the edge of Lake Tegernsee, about an hour’s drive south of Munich. The factory was founded in 1829 and, from the outside, it has a feeling of heritage. Small wooden balconies, recessed windows and a sloped roof mean it fits in with the architecture of this small alpine town. A river runs right past the factory, with forest on the other side. 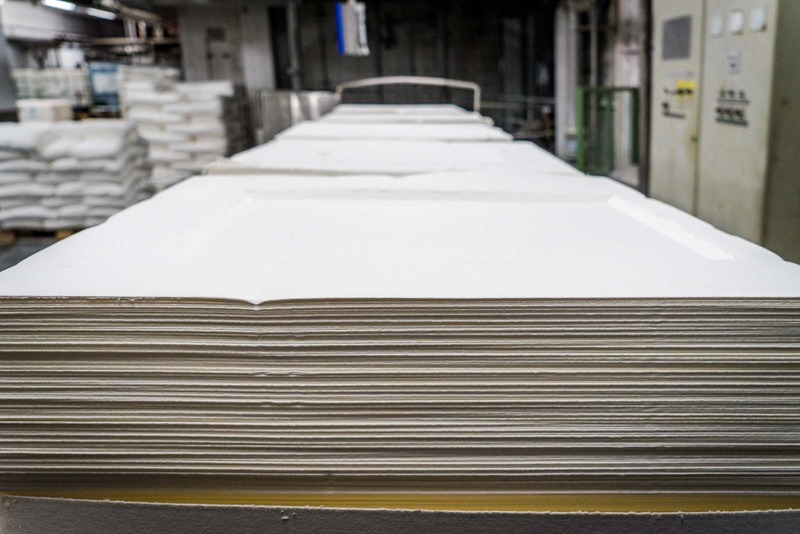 Inside the Gmund Paper Factory, there are also signs of this history. Since 1904, the business has been family-owned and you get the sense from the way it’s designed that this is not a large corporation. There are 120 employees but a lot is still done by hand, a lot still relies on tradition, and quality is always more important than efficiency. It’s for this reason that the designer of the envelopes and cards for the Academy Awards, Marc Friedland, chooses to use paper from here for his creations. Germany is literally on the other side of the world from Los Angeles but, when you need the best, distance is not an obstacle. Although the paper comes from here, the envelope is put together at a studio in Los Angeles. Each one is handcrafted and has extra features added – like embossed imagery of the statue on the outside. It also has security features built into it so there’ll be no tampering! Until the presenters on the big night open the envelope and read the card, there are apparently only two people who know the results – officials from PricewaterhouseCoopers, who tally up the final votes. Because of this secrecy, cards with the names of every nominee are printed and sent off to PwC, who will then put the winning one inside the envelope. Just in case something goes wrong, there are three copies of the final envelope put together for each category. That means a lot of cards and envelopes are made… then all but the ones used on stage are eventually destroyed. 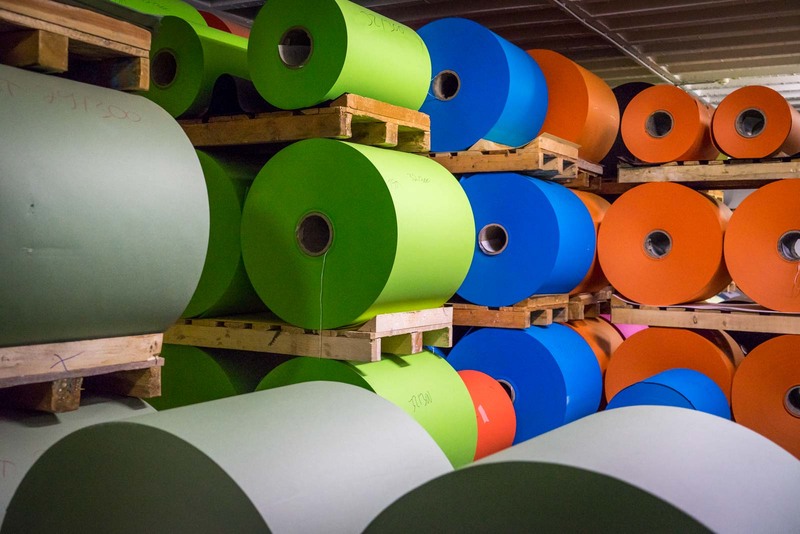 Gmund Paper opens its factory up for tours, to allow you to see where the Oscars envelopes and cards are made – and, of course, everything else that goes on inside. 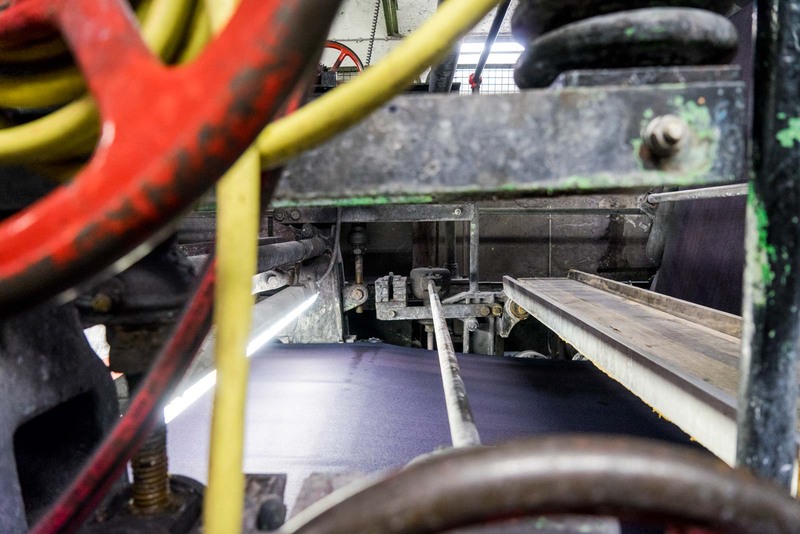 From the raw materials that are turned into a pulp, to the area where the dyes are added to give colour, through to the belts and rollers of the large paper machine, and the embossing and cutting – It’s a huge process just to end up with a piece of paper. I don’t know if you’re like me, but when I quickly grab something to write some notes on, I never think about how much went on to produce it. What I find so interesting is seeing the transition in the factory from traditional to modern. There are still part of the operations that haven’t changed much for a hundred years – like the way the paper pulp is mixed with the dye. 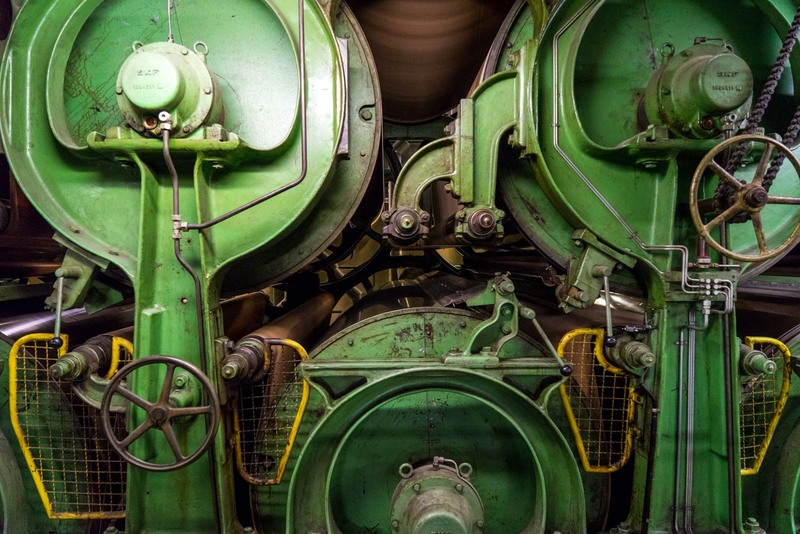 Some of the machines that make the paper are decades old but they’re still used because there’s nothing any newer that can do the job better. And then there are recent additions to the production line, like the paper cutters and stackers, that are so new that they almost seem out of place here. I don’t think people will take much notice of the envelopes or the cards when they watch the ceremony this year. And fair enough, they’re not the real stars. 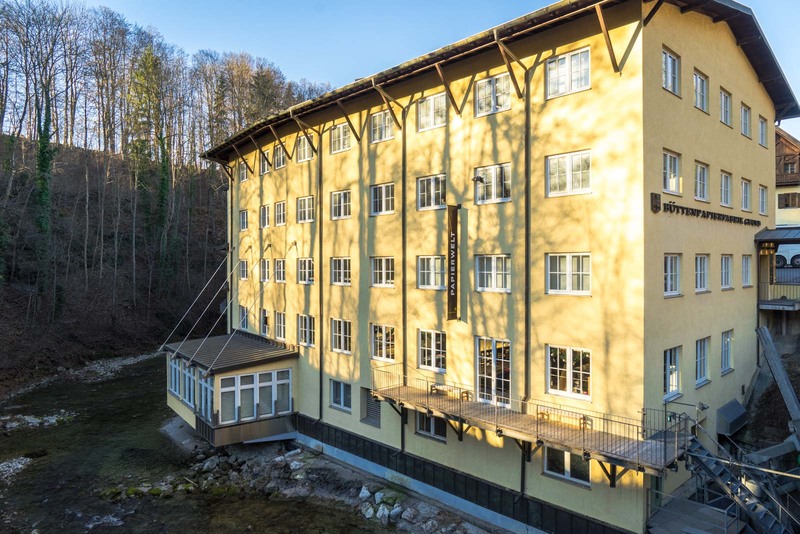 But now you know a little bit more about them, perhaps you’ll give them at least a second’s thought – and remember this factory near a lake in Germany’s Bavaria region. Fascinating article. I wonder if they will be printing duplicate copies next year!!!!! A very good question! I bet there will be a few changes to the way it works next year. Yikes – what a mess! 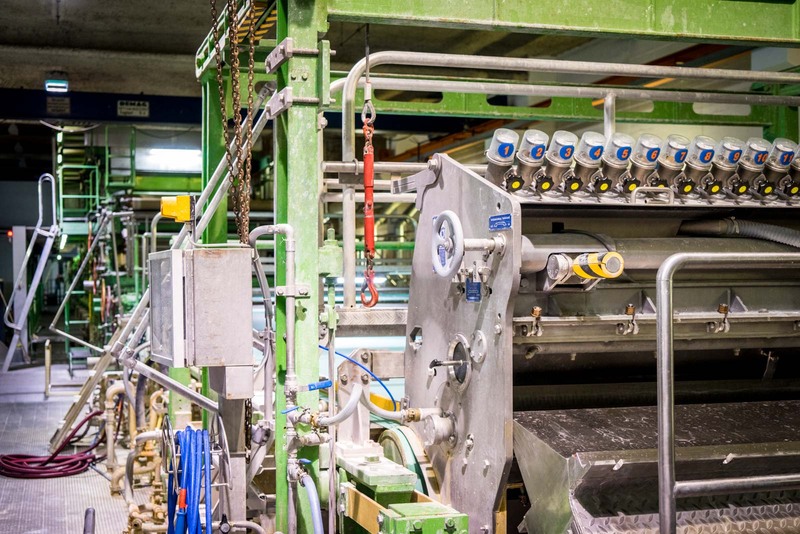 Couldn’t even imagine that envelope producing is so interesting! Ha – I know! It’s not the kind of thing you think about at all. But when you see how much goes on behind the scenes, you realise there’s quite a fascinating story.